Swiss top quality since 1875. If you are looking for a sprayer, garden sprayer, electric backpack sprayer or spare parts, You can find the right sprayer for every job in the wide range of pressure sprayers from Birchmeier. Professionals and individual customers alike choose Birchmeier products because of their ergonomic design, excellent technology and long service life. 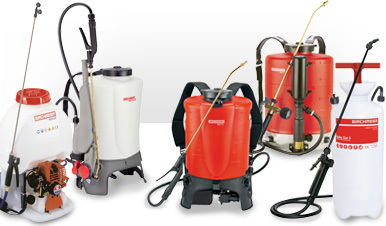 Birchmeier has a long history in the field of spraying technology and crop protection. The Swiss company leads the European market and knows exactly what this market needs. Every product undergoes extensive testing before it leaves the factory. If, as time goes by, a part needs to be replaced, then ordering is quick and easy using the detailed parts drawings at kramp.com.